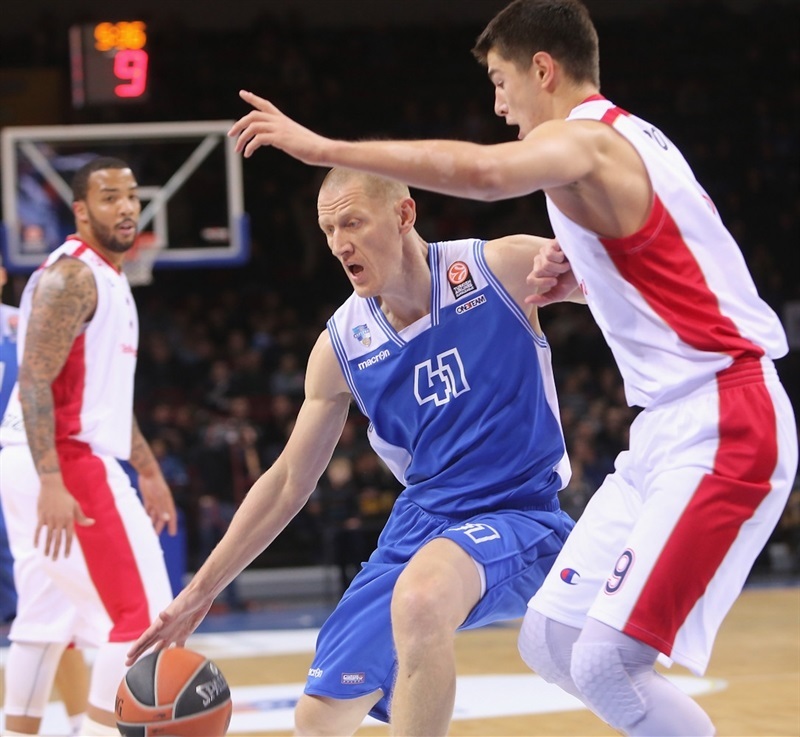 Valdas Vasylius banked in a shot with 3.2 seconds left and Neptunas Klaipeda celebrated a historic first-ever Turkish Airlines Euroleague victory, a thrilling 83-81 decision over Crvena Zvezda Telekom Belgrade on Thursday. Both teams now hold 1-1 records in Group D. Neptunas took a double digit lead with an outside shooting clinic in the first half, hitting 9 of its first 14 three-point attempts. Deividas Gailius hit 4 of 4 from downtown before halftime, helping the hosts pull away to a 15-point advantage and a 47-37 halftime lead. 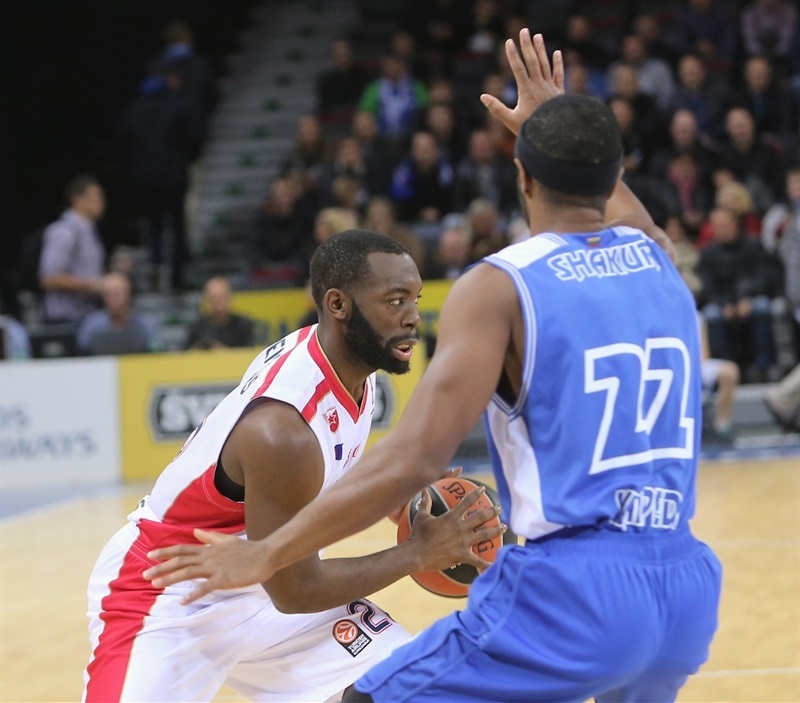 But Zvezda rallied behind Marcus Williams and Jaka Blazic, tying it at 69-69, but never regained the lead. Mustafa Shakur helped Neptunas pull away again with steals and layups, but Zvezda kept the hosts scoreless for four minutes at the end of the game, tying the score again before Vasylius made the game-winner. Deividas Gailius netted 14 of his 19 points in the first half, and also grabbed 7 rebounds. Shakur finished with 11 points, 6 assists and 5 steals, Donatas Zavackas collected 10 points and 7 boards, while Vasylius finished with 8 points in victory for Neptunas, which finished the game with 11 three-pointers from 25 attempts. 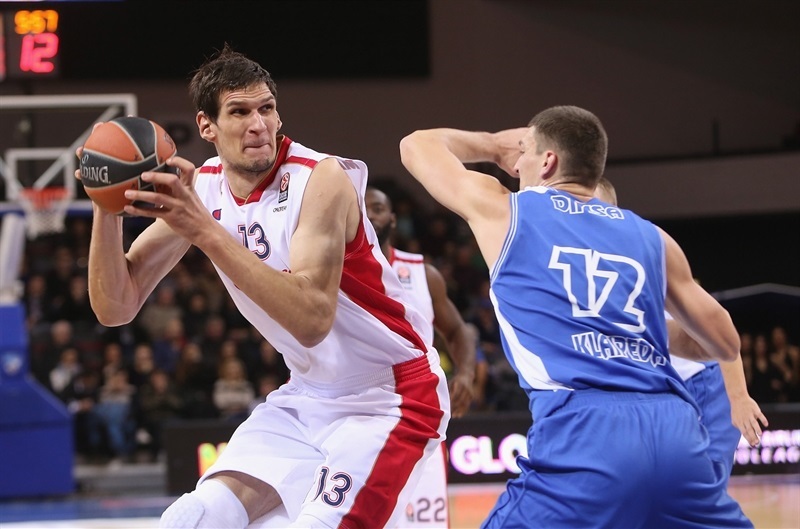 Williams led Zvezda with 23 points, Blazic had 16 points, 6 rebounds and 4 assists, while Boban Marjanovic scored 11 and Luka Mitrovic pulled down 10 rebounds in defeat. Mitrovic opened the scoring with a long jumper, and Charles Jenkins nailed a triple for a 0-5 edge. 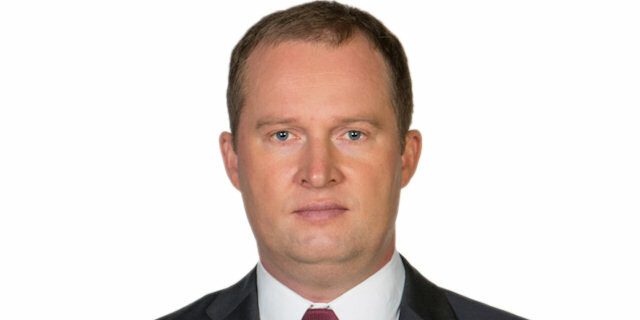 Simas Galdikas scored inside for the hosts, before Shakur banked in a mid-range jumper and Martynas Mazeika hit a baseline jumper to make it 6-6. Gailius sank a triple to put Neptunas in front for the first time, and he followed it with a mid-range jumper for an 11-7 advantage. Williams and Mazeika traded shots from downtown, and after Williams drove for a layup, Marjanovic made an easy dunk to tie the game at 14-14. But Zavackas and Gailius hit back-to-back long-range shots, giving the hosts 4-for-4 shooting from downtown and a 20-14 lead. Marjanovic added to the visitors’ tally with a put-back dunk, but Gailius hit a tough corner triple for 23-16. Towards the end of the quarter, Blazic drove for a pair of layups, with Mazieka hitting a long jumper in between them, as Neptunas held on at 25-20 after 10 minutes. Vasylius opened the second quarter from close range, and Gailius followed it his fourth long-range dagger to make it 30-20. Maik Zirbes scored a layup for Zvezda, but Mindaugas Girdziunas nailed a jumper to keep a double-digit margin. Williams and Egidijus Dimsa traded three-pointers, before Justas Sinica joined in on a three-point party for a 38-25 lead. After a Zvezda timeout, Vasylius had a baseline jumper and an easy layup following sweet ball movement to make it 42-27. Marjanovic cut the deficit by muscling his way for a layup in heavy traffic, and Nikola Kalinic made a pair of foul shots. 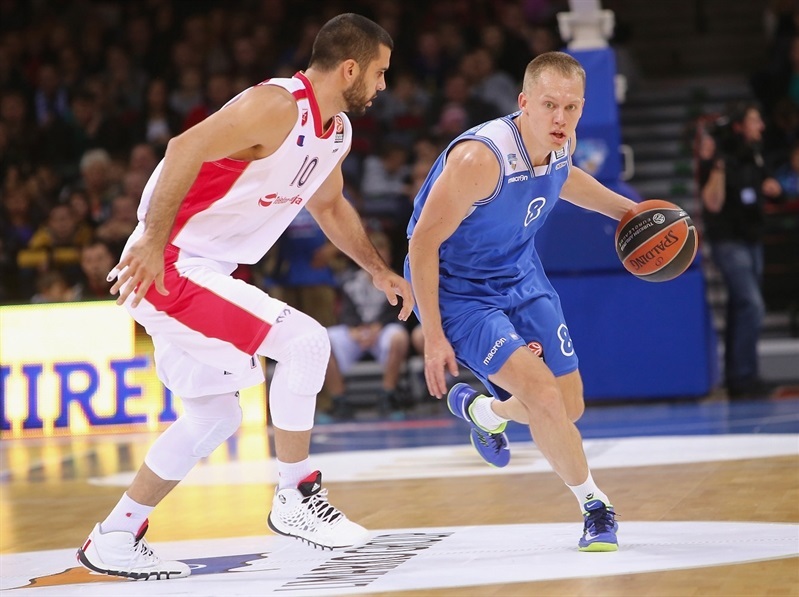 But Zavackas hit a long baseline jumper, and after Branko Lazic knocked down a corner triple for Zvezda, Girdziunas countered with the ninth three-point shot for Neptunas, 47-34. In the final minute of the half, Marjanovic split free throws, and Williams made a nifty driving layup, making it 47-37 at halftime. A put-back layup by Lazic opened the scoring in the third quarter, before Shakur scored a layup-plus-free throw on a fast break, and Zavackas knocked down a long jumper for a 52-39 cushion. But Mitrovic scored a basket-plus-free throw and drew an unsportsmanlike foul, and Lazic followed it with a floater that cut the lead to 52-44. Sinica answered with a three-pointer, and Zavackas drove to the basket, but a Williams triple brought Zvezda back within 57-49. Neptunas countered with an alley-oop dunk from Arnas Butkevicius, but Blazic scored a fastbreak layup for the visitors, before a pair of free throws from Williams cut it to 60-53. Girdziunas drove for a layup , but Blazic nailed a triple, and Nemanja Dangubic made a block on the defensive end, then raced for a fastbreak layup to close within 62-58. After a timeout, Gailius got a lucky bounce on a short jumper, and after Williams nailed a three-pointer for the visitors, Dimsa answered with a triple for a 67-61 advantage at the end of the third quarter. 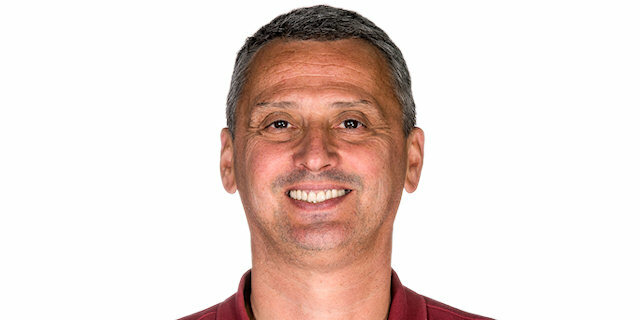 An easy layup from Blazic got things going in the fourth quarter, and after Dimsa answered from close range for the hosts, Dangubic knocked down his first Euroleague three-point shot. Blazic followed it with one of his own to tie the score at 69-69. Shakur stole the ball and raced for a dunk. 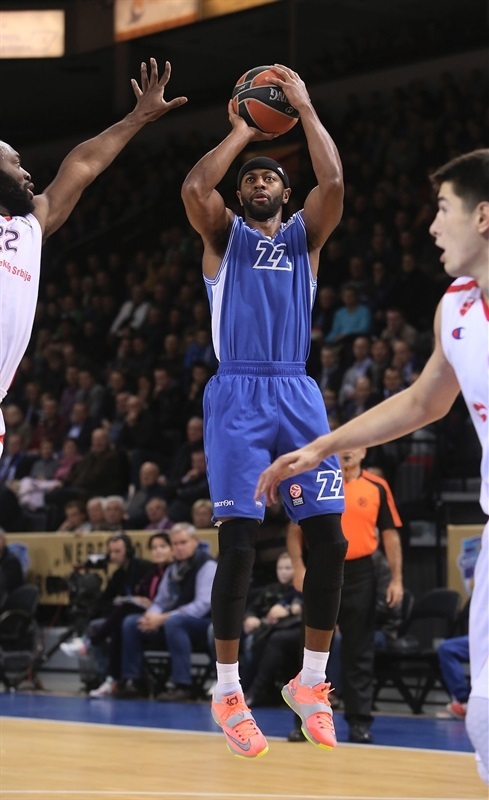 After Stefan Jovic hit a jumper, Shakur drove for a layup, then came up with another steal that led to a layup from Gailius and helped Neptunas stay in front, 75-71. Neptunas players got to the foul line four times, but only made half of their attempts, in between which Williams drove through the hosts’ defense for a layup. But Shakur made another steal, and drove for a layup and an 81-74 lead with four minutes to go. Both offenses stalled, but Zvezda inched closer with Williams, Marjanovic and Blazic making 6 of 8 foul shots to get within 81-80 with 62 seconds to go. Mitrovic split free throws with 28 seconds remaining that made it a tie game. But on the ensuing possession, Neptunas, which had been scoreless for almost four minutes, saw Vasylius pick up a loose ball in the final seconds, drive from the wing and bank in a shot from three meters with 3.2 seconds left. Zvezda had the last shot after a timeout, but Williams missed a potential game-winning triple, and Neptunas celebrated a historic win. 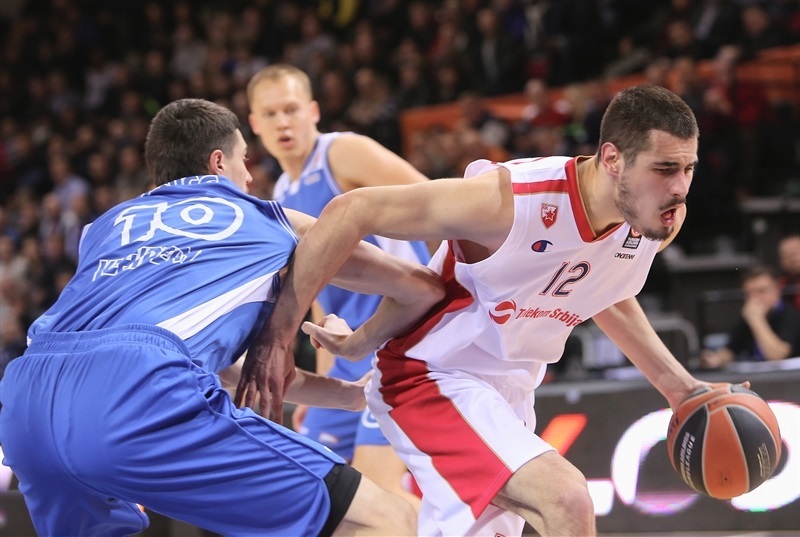 "I want to refute the skeptics who said that we do not deserve to play in the Euroleague. Our team deserved the victory because we led the whole game. Vasylius made last shot to win, because he often makes those shots." "We very bad starting the game in the first half. In the second half, my team play better on defense and Crvena Zvezda got back in the game. We missed very important free throws and three-pointers at the of the end game. 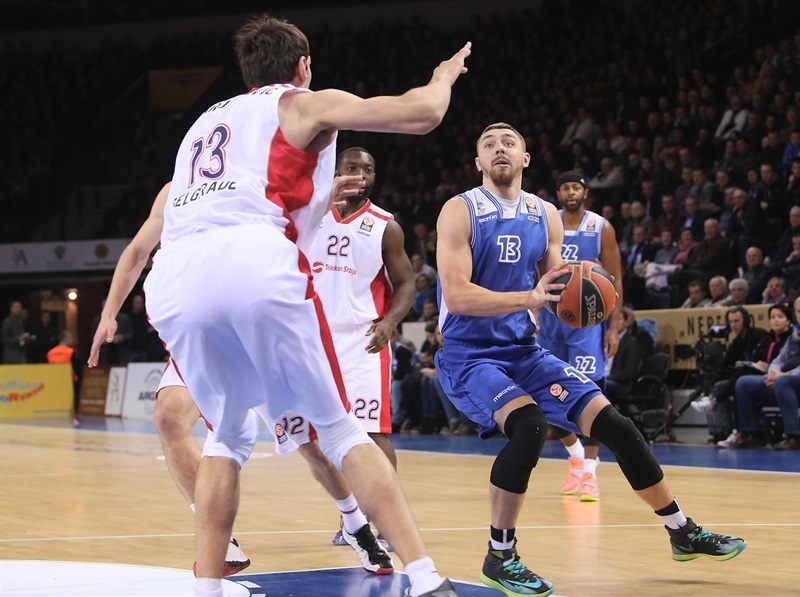 Neptunas played a very good game in their home arena." "Tonight all the team played very well. 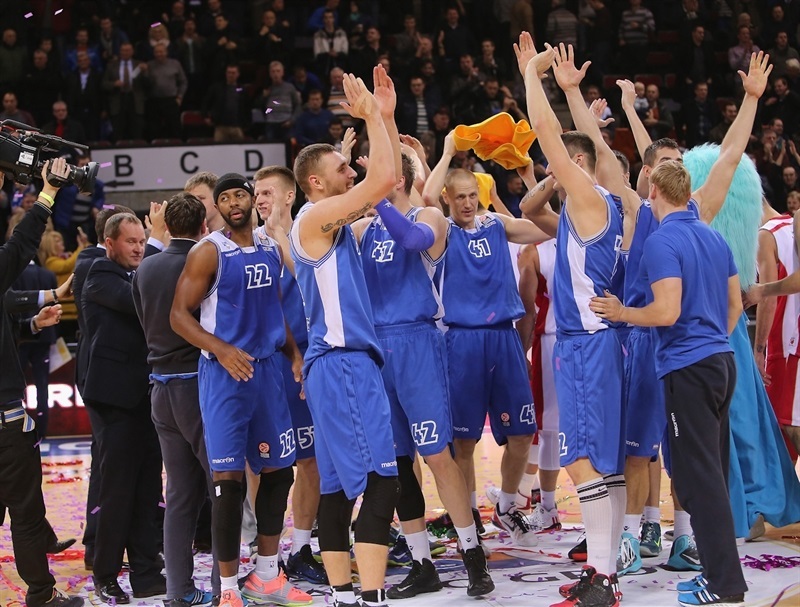 The spectators were out sixth player on the court, and Klaipeda can celebrate the first victory in the Euroleague tonight."